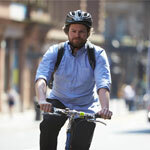 Employers across Scotland can work towards the Cycle Friendly Employer Award with help from Cycling Scotland’s Cycle Friendly Employer development grant. The grant will encourage and support workplaces to take a leading role in increasing the number of journeys by bike to, from and for work. The grant will offer up to £20,000 for workplaces to improve their cycling facilities through capital projects such as cycle storage, changing facilities, signage or pool bikes. 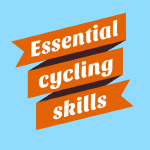 All of which will help employers on their journey to achieving the Cycle Friendly Employer Award. 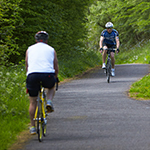 To access the grant, employers must register to become a Cycle Friendly Employer. There are many ways that cycling can benefit both you, as an employer, and the employees of your organisation. Reduce sickness absence. Studies have shown that those who regularly cycle to work typically take fewer sick days than less active commuters. Increased productivity. Regular exercise can not only reduce stress and improve mental health but can also increase energy and concentration levels, leading to a more productive workforce. Boost your CSR. 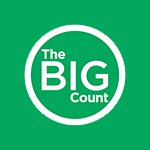 Supporting cycling can cut congestion, improve your local environment and enhance your corporate social responsibility by reducing your carbon footprint. Save on expenses. Using a bike to travel short distances to meetings, or between sites, can save money that would previously have been spent on taxi and car expenses or on public transport. Gain an award. Working towards Cycle Friendly Employer will support the physical activity criteria of the Healthy Working Lives Award. Cycling in older age key to a fitter, healthier life.